Grab your spoons for the nation’s largest all-you-can-eat ice cream festival! 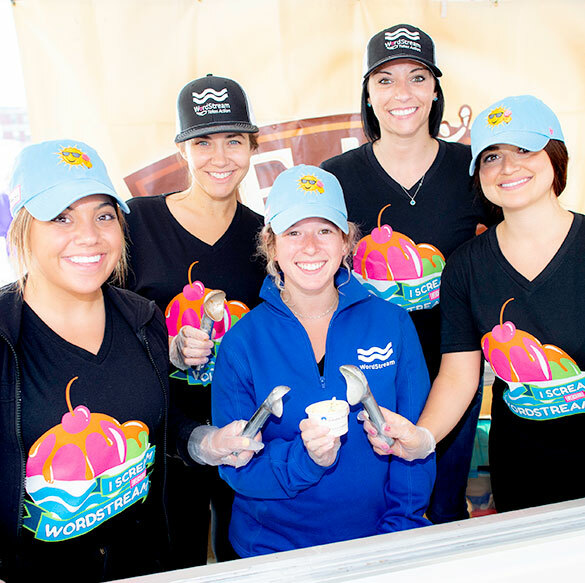 Whether you’re a volunteer or professional ice cream eater, you play a huge part in our mission to conquer cancer. Jimmy Fund Scooper Bowl® began in 1983, when four New England ice cream companies came together for one day to serve scoops and smiles to tourists and school children in the Boston Common. They raised $1,000 for cancer care and research at Dana-Farber that year. The next year, the event was officially named "Scooper Bowl"—and the rest is history. Today, Boston’s favorite summer tradition spans three fun-filled days at Boston City Hall Plaza with some of the country’s favorite ice cream and frozen yogurt companies, including Baskin Robbins and Ben & Jerry’s, serving over 20 tons of ice cream to more than 40,000 ice cream lovers each year. From traditional chocolate and vanilla to out-of-the-box flavors, Scooper Bowl has something for everyone. THURSDAY, JUNE 6, 5 – 8 P.M.
Join us under the big tent for Scoop at Night 21+, Boston’s sweetest happy hour. Relax after work with unlimited ice cream, music, games, and two adult beverages. Attendees must be 21 or older. IDs will be checked at the entrance. With over 50 to choose from, Scooper Bowl has a flavor for every taste. Grab a scoop and enjoy music from local bands and DJs. Earn great prizes, like free admission to Scooper Bowl, while teaching your students the power of giving back by fundraising throughout the year. Contact Scooper Bowl Staff at 617-632-3190 or Scooper_Bowl@dfci.harvard.edu.